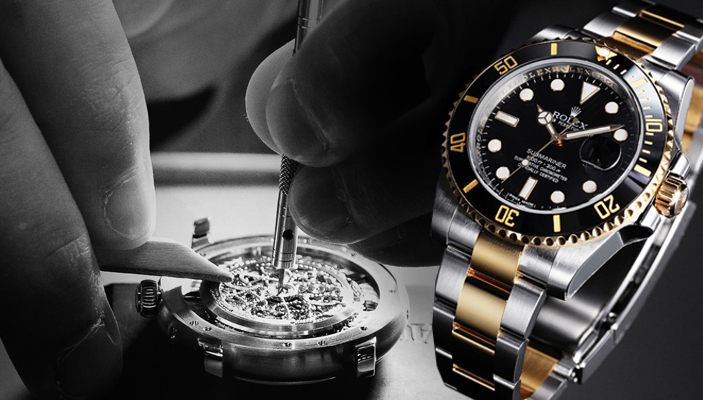 We are proud to offer the watchmaking services of Lyle C. Husar. 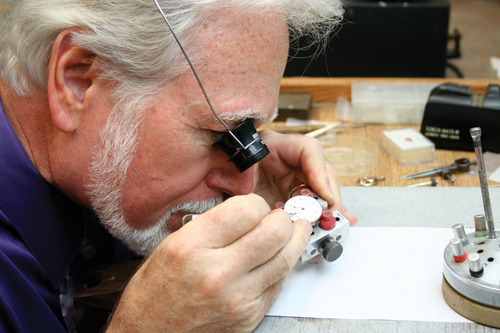 Lyle is a Certified Master Watchmaker (American Watchmakers Institute), a graduate of Gem City College (Quincy, IL), a member of Wisconsin Horological Society. Lyle has over 50 years experience. He and his wife Alice Husar are the founders of Husar’s Tic-Tok Shop, Husar’s Jewelers and Lyle Husar Designs, Inc.
We offer professional battery replacement, watch movement cleaning (overhaul), watch band resizing, crystal replacement, and refinishing services on most brands including A. Lange & Sohne, Alpina, Accutron, Baume & Mercier, Bell & Ross, Breitling, Bulova, Cartier, Citizen, Chopard, Daniel Wellington, Ebel, Elysee, Fossil, Frederique Constant, Girard-Perregaux, Glasshutte Original, Gucci, Hamilton, Hublot, Harry Winston, IWC, Jaeger LeCoultre, Longines, Louis Vuitton, Maurice Lacroix, Michael Kors, Montblanc, Movado, Nomos, Obaku, Omega, Oris, Panerai, Patek Philippe, Philip Stein, Rolex, Seiko, Shinola, TAG Heuer, Tissot, Tudor, Ulysse Nardin, U-Boat, Vacheron Constantin, Victorinox Swiss Army, Wenger, Zenith, and Zodiac. We service most brands. Please stop in for a FREE repair quotation.